Let’s be honest, when it comes to weddings, the bride is almost always the star of the show. Her dress also usually costs much more than the groom’s suit. She will spend hours on her hair, makeup, and accessories. She gets walked down the aisle last to her own special music. Most men, however, take this in stride and stand off to the side to let the bride shine on her day. At Trillium, we believe the man can be just as important and revered as the bride during their wedding. 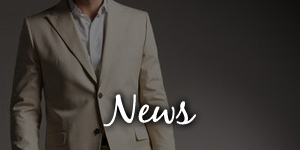 We will partner with the man to plan every aspect of his wedding day attire. With men’s tailoring being our primary focus, Trillium is dedicated to helping the groom during the wedding planning stages. Many times the bride will buy or inherit her dress to cherish it for years to come, while on the other hand, the groom simply rents his tuxedo along with his groomsmen. We believe men should be afforded the same luxury of owning and cherishing their wedding suit for years to come as well. Going custom will not only make you look excellent and stand out, but will also give you a superb suit for future occasions. 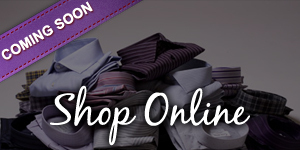 We guarantee your suit will be of the highest quality, but also, we are here to be your personal stylist as well. We will help you create your entire look from your socks, pocket square, and tie. On your wedding day, all eyes will be on you and every detail of your outfit will be analyzed and admired by the guests. The best part of Trillium being your custom stylist is that it comes absolutely free with your suit! We don’t simply sell you a suit and send you on your way; we will help you with every step along the way to make your big day as perfect and memorable at possible. If you would like to come into our store and talk about your options we recommend coming prepared. 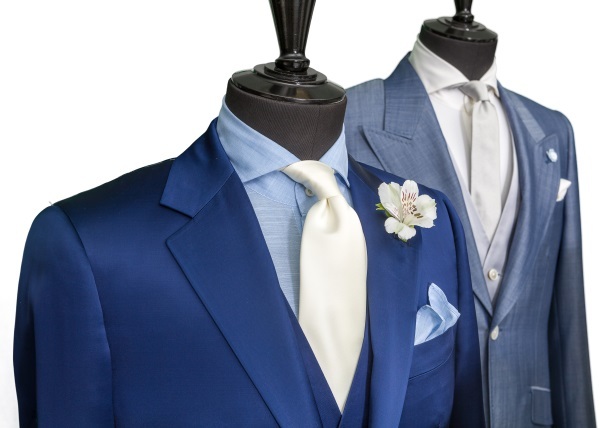 First, you will want to plan your suit to take five to six weeks to be completed. The next step is to set a budget; we have hundreds of fabric selections in store for you to browse ranging from expensive cashmere and silk, to affordable Italian cottons. Before coming in, you will want to have a basic idea of the style. For example, it could be formal, black-tie, casual, colorful, or vintage. This, along with the color scheme of your wedding, will allow us to pick the best fabric and create the perfect design for your suit. Stop in or give us a call and bring your bride or groomsmen to help you with the decision making process and we’ll give you a lasting, unforgettable memory of your big day. 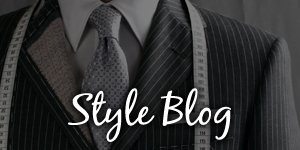 This entry was posted in Style Blog and tagged bespoke, custom, fashion, style, summer, tailoring, trillium, wedding. Bookmark the permalink. ← Floral Shirts: Yay or Nay?